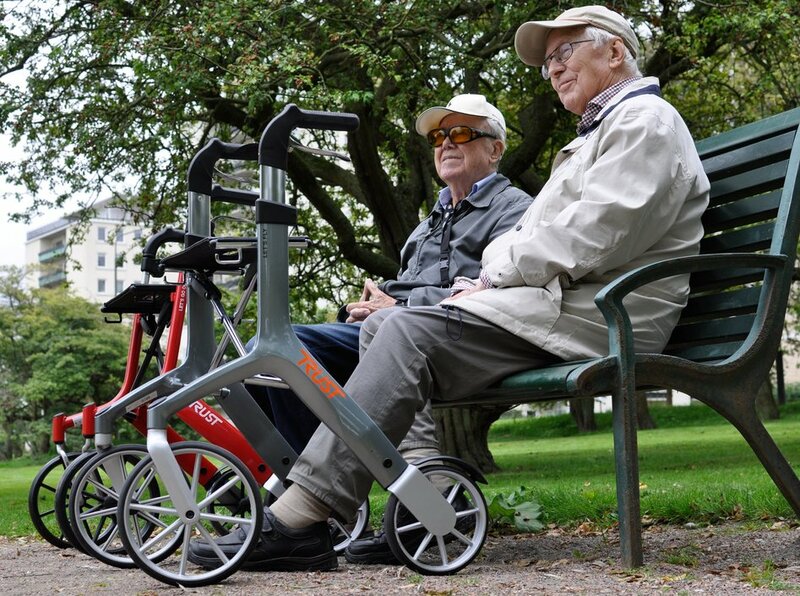 The Trust Care Let's Fly is a real design-rollator, which is designed in a contemporary and functional way. On one of the largest trade fairs in Germany, it was chosen as the most beautiful product of the entire exhibition. 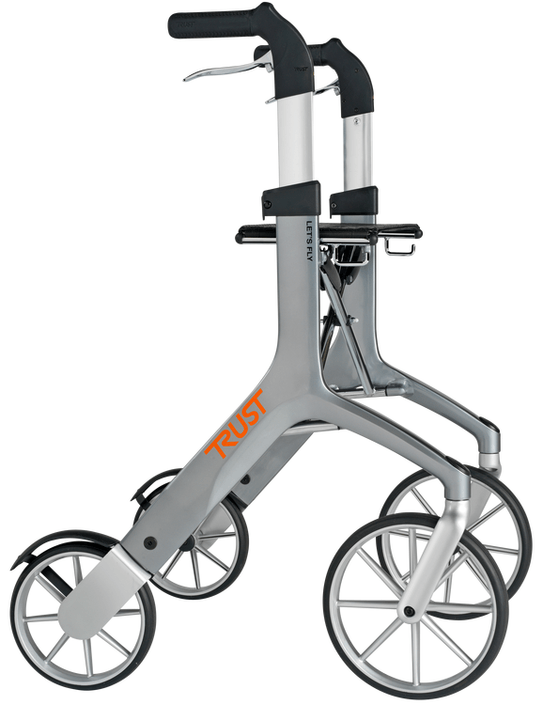 The Trust Care Let's Fly is a contemporary and functionally designed rollator. It was not for nothing that it was chosen as the most attractive product at a trade fair in Germany. 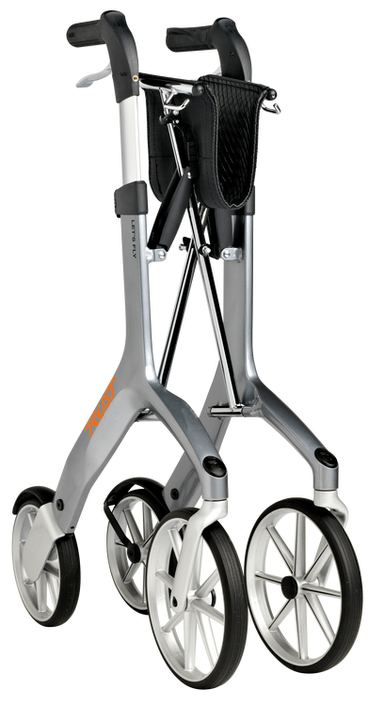 This sleek design-rollator is made of cast aluminum. Because of the large front wheels you can drive onto easilythe sidewalk . The smaller rear wheels have a built-in rubber suspension, so you can move forward smoothly. This suspension dampens the shocks when you walk on a rough surface. The outdoor walkers of Trust Care are the first in the world with this property. The Let's Fly is very easy to use. If you have become tired while walking, you can for example take a break on the integrated seat. This is made of synthetic leather. This makes it comfortable and soft to sit on, but also water-resistant and durable. 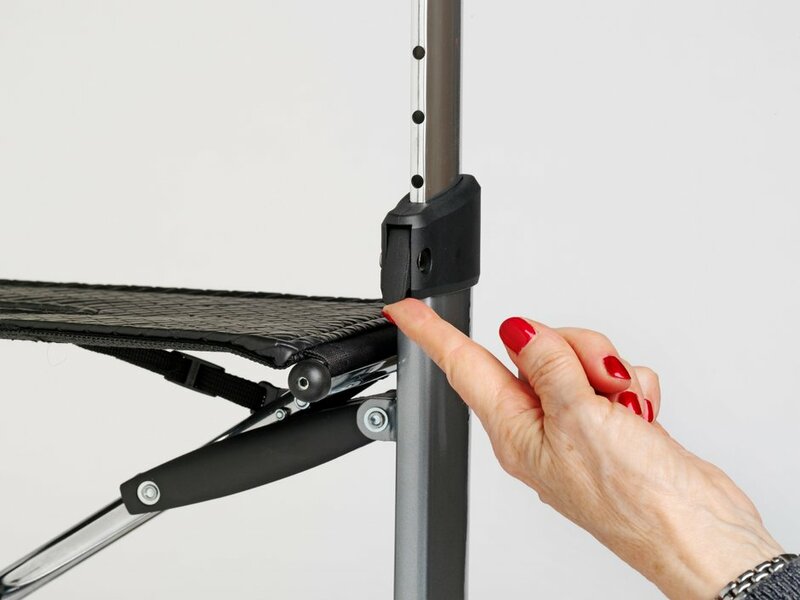 Furthermore, the handles are height-adjustable so that you can adjust them to your height. The height can be adjusted between 82 and 91 centimeters. 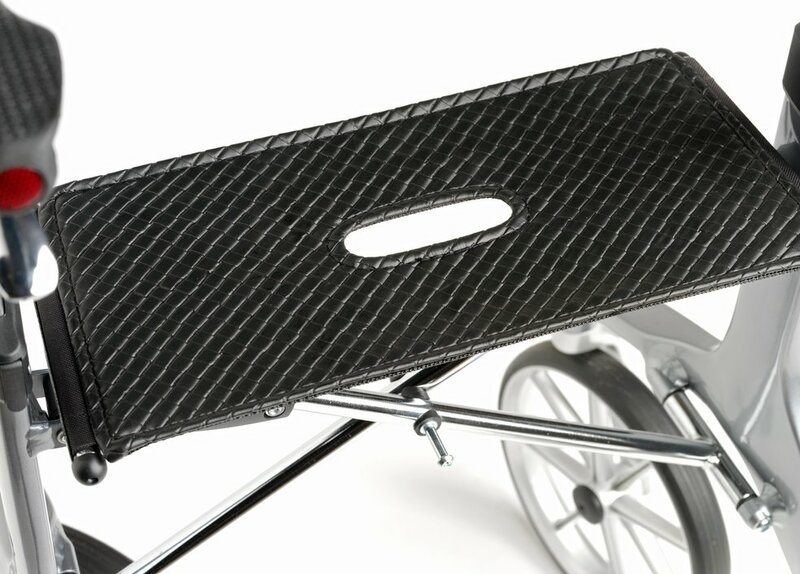 This Trust Care walker is easy to carry because it is collapsible and lightweight. This rollator weighs only 6.9 kilograms. You will find a lock under the seat. 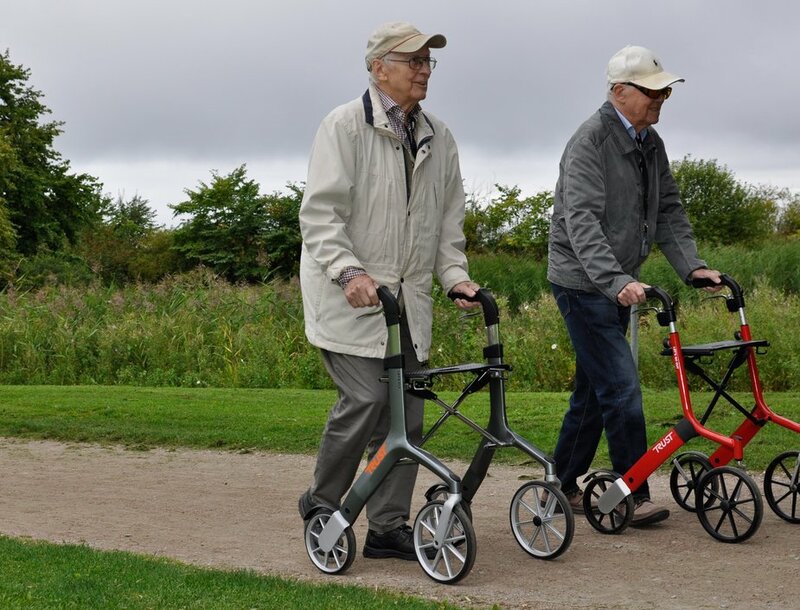 As soon as you raise it, you can fold up the rollator. He is then only 20 centimeters wide , but can still stand upright. Would you like to expand it again? Then push the seat down again. With this Trust Care Let's Fly you get a shopping bag, which you can confirm with the two brackets under the seat. 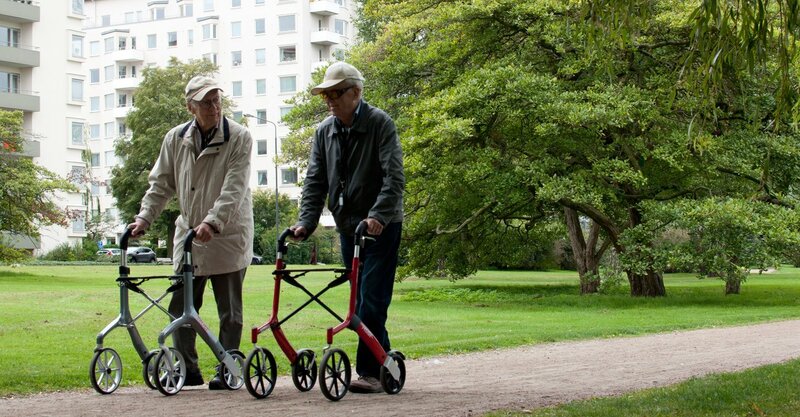 If you up the rollator, foldthe bag folds along automatically . Very easy! I found the delivery and time frame given to me was excellent. Packing was good and in tact. It works great no problems. Excellent for my needs. I would recommend this rollator. It is good for outdoor use. Not only did this product meet all of my expectations and more but so did the company.